DAYTONA BEACH, FL—In a statement released Thursday, NASCAR announced it would end a longstanding tradition of allowing child volunteers to run out onto the track during races to help wipe up skid marks. 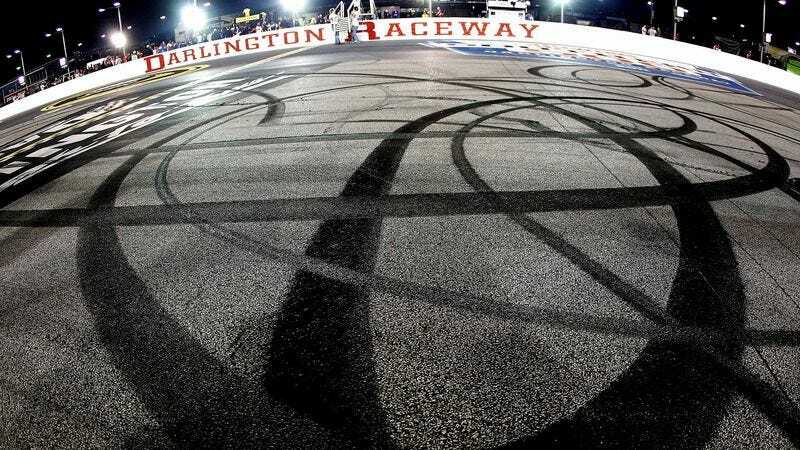 "Seeing local kids get the chance to dodge their favorite stock cars while helping to clean the track of excess rubber may seem as much a part of NASCAR as the checkered flag, but unfortunately its time has passed," the statement reads. "We believe the risks now outweigh the rewards for those 10-year-olds who feel the rush of air produced by a stock car flying right by them at 175 mph as they scrub the fabled track surface of Daytona or Talladega." In an accompanying press release, NASCAR confirmed it would erect a plaque near the third turn of the Daytona International Speedway to memorialize the 24 boys and girls killed by a spinning Kevin Harvick last year.